VANCOUVER (miningweekly.com) – The future of the diamond industry hinges on the follow-through of structural changes that have been prompted by the challenges the industry faced, and the opportunities presented in a fundamentally changed diamond market, independent diamond analyst Paul Zimnisky says in a new blog post. He outlines three key forces shaping the “new diamond industry” over recent years, including a new operating discipline, a new generation of consumers, and new technology impacting on all segments of the diamond industry – from mine to retailer. The effect of over-speculation has changed the industry over the last six years, which has only now started to absorb the inventory indigestion caused by the actions of the diamond manufacturing industry (the cutters). According to Zimnisky, in an attempt to make the most of the growing demand, cutters started buying excess rough inventory, hoping to stay ahead of the inevitably rising cost curve and expand their traditionally tenuous operating margins. “The banks lending to the manufacturers incentivised the behaviour, making credit availability robust, attempting to take advantage of the opportunity themselves. The strong demand for rough, allowed the diamond producers (the miners) to congruently raise prices,” Zimnisky states. From the low in 2009, following the global financial crisis, to the spring of 2011, rough diamond prices rose almost 75% to an all-time high on an average price-per-carat basis, the analyst’s data shows. The downfall came when Chinese end-consumer demand, while growing sharply, was not strong enough yet to meet the over-speculation of the industry, and the heavily levered diamond manufacturing industry was forced to take loses and curb rough buying. 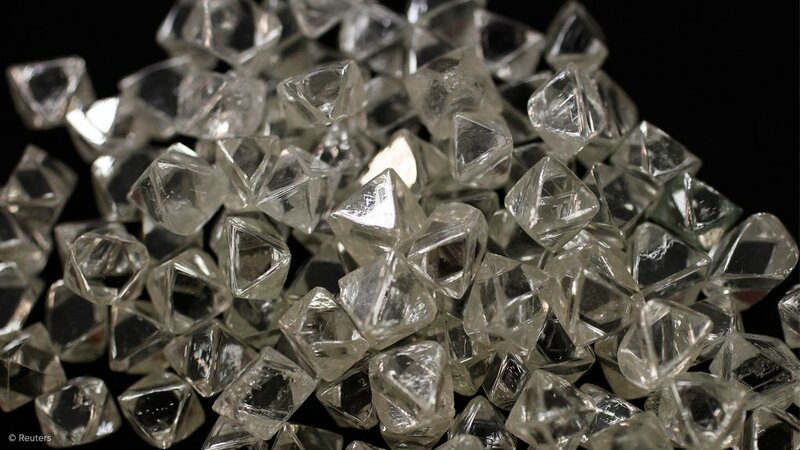 From the high in 2011, rough diamond prices retreated by almost 20% in 2012, Zimnisky notes. 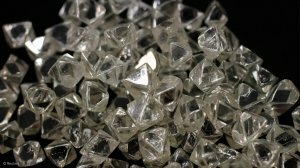 Producers such as De Beers, Alrosa and Rio Tinto have curtailed new supply to the market in recent quarters, while industry creditors such as Amsterdam-based ABN AMRO, have pulled back financing and other key players have left the business altogether, like Antwerp Diamond Band (subsidiary of KBC Bank) and Standard Chartered. Zimnisky believes that manufacturers are operating more conservatively and managing less speculative inventory stocks. De Beers, as an example, has required that its contracted rough-buying clients adhere to International Financial Reporting Standards, and the major producers are prioritising the importance of working with their clients to help them maintain profitability through less rigorous purchasing requirements and more client-conscious pricing. While young Chinese and Indian consumers are buying diamond engagement rings for the first time, the young demographic in the West has different spending habits, priorities and tastes than previous generations, Zimnisky says. Consumer demographics studies have shown the 18- to 35-year-old group of consumers to be getting married at a later age, if at all, and they typically value uniqueness, quality, and an environmentally and ethically conscious story to accompany their jewellery. For instance, the shear carat weight of their diamond jewellery is not nearly as much of a priority for the typical Millennial, as it was for their parents. This is why the recently formed Diamond Producers Association (DPA) is focusing its anticipated generic diamond marketing campaign on free-spirited young couples that may or may not get married, but share love and their own unique story of how they express love, Zimnisky notes. The DPA’s debut video shows a young couple exploring an island together, enjoying each other and enjoying life. The only piece of jewellery the woman has on is a simple diamond pendant, no ring. Another consumer trend worthy of note is an increase in women buying jewellery for themselves. According to a recent press release from high-end London-based auction house Bonhams (private), female buyers accounted for 28% of all jewellery bought at its auctions in 2016, which is 4% higher than five years ago, but more significantly, the average amount they spent doubled, the analyst points out. This is the result of a growing trend in the amount of independent income earned by women, but also a decreasing marriage rate in the US and other key markets for the industry like Japan. “The diamond industry is adjusting accordingly. The idea of attaching a story that includes a diamond's journey from mine-to-consumer is being embraced by jewellery manufacturers and retailers. By including a diamond's provenance, consumer concerns related to ethical sourcing and assurance that the stone is in fact a legitimate natural diamond, and not a synthetic or simulant, are also alleviated,” Zimnisky says. Meanwhile, the makers of laboratory-created, or synthetic diamonds, have been honing their craft for more than half a century, despite production having so far only been economic for industrial applications. The analyst estimates the lab-created product to currently account for between 1% to 5% of the diamond jewellery market supply. However, synthetic diamonds only sell for about a 15% to 20% discount, on average, to natural equivalents, whereas synthetic versions of other gems such as ruby, emerald and sapphire sell at as much as a 95% discount to natural equivalents, despite the synthesising process for these gems being less complex. More than 95% of industrial diamonds used for abrasive purposes are created in laboratories, most of which are produced in China and India. Only in recent years has the diamond industry seen significant investment in gem-quality synthetic production technology aimed for use in jewellery. Some companies are producing high-quality diamonds for jewellery use, but only as a stepping stone as they develop more economic processes for producing diamonds for higher-margin high-tech applications. Zimnisky points out the challenge with the synthetic diamond jewellery business plan is not only does a company have to develop a technology capable of producing gem-quality diamonds economically enough to offer their product at a significant discount to the natural equivalent, but a brand and distribution strategy to accompany the new product also needs to be developed, which can be extremely costly. Lab-created diamonds will change the diamond industry as there is a customer base that will embrace the price, the technology, and/or the perceived environmentally-conscious nature. As the technology improves, the economics of gem-quality synthetic production will continue to improve. Relative prices will come down because the supply of natural diamonds at any given quality is fixed, but the supply of synthetics at any quality is theoretically unlimited.